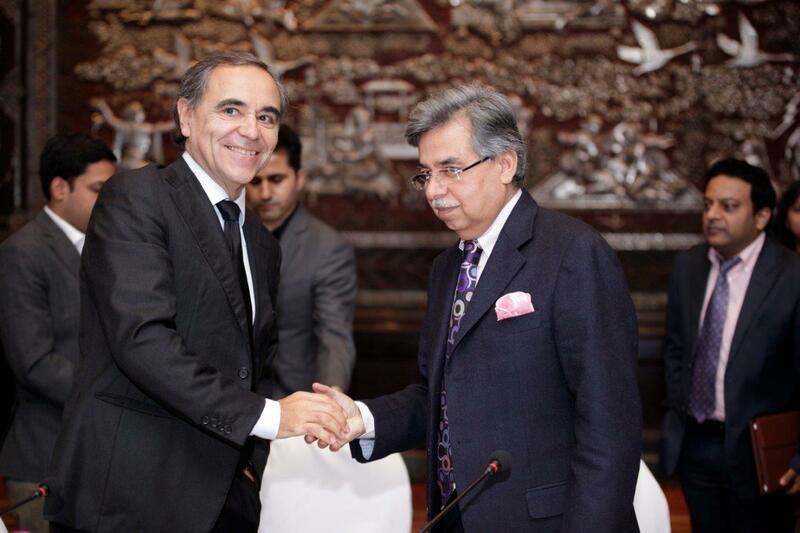 Magneti Marelli S.p.A. and Hero MotoCorp Ltd. have signed a Joint Venture agreement aimed at the production of powertrain systems for the two-wheeler market. According to this agreement, Hero MotoCorp will hold a 60% share in the Joint Venture, with the remaining 40% being held by Magneti Marelli. The construction of a JV’s production plant is planned by 2015, at a location in India to be defined shortly. The JV will nevertheless be operational immediately, as during this initial phase activities will focus on the technological aspect, with the two companies starting to cooperate in the design and development of the first solutions and applications for motorcycles. The Joint Venture will be aimed mainly at the Indian market, and its solutions will be made available both to the two wheeler production of the Hero company (the largest in India and in the world), and to the entire two-wheeler market in the country (about 15 million vehicles sold in 2012 alone). The main objective of the JV is to put together a portfolio of advanced solutions for the powertrain control of two and three-wheel vehicles that, by taking advantage of the added value provided by electronics, are able to raise the technological level of the solutions available until today. These technologies will make it possible to achieve better engine performances, with reduced consumption and emissions, representing in fact a leap in the technological paradigm and thus paving the way for a more sustainable mobility in compliance with future limits for polluting emissions, in a country where a total of over 63 million two and three-wheel vehicles have been sold in the last six years from 2007 to 2013 (source: SIAM, Society of Indian Automobile Manufacturers). The scope of the agreement makes available to the JV Magneti Marelli’s advanced solutions in terms of electronic engine management, including the “ride-by-wire” technology. Since this technology allows electronic handling of the power requested of the engine, it optimizes its operation, in addition to forming the technological base needed to enable future possible solutions for hybrid engines associated with the transmission to be fitted on two-wheelers. Since 2001, Hero has been the world’s largest manufacturer of two-wheelers. So far, it has sold approximately 50 million motorcycles and mopeds, and currently holds a market share of 46%, with almost 7 million vehicles sold every year. In 2012, it acquired 49.2% of the equity capital in the well-known motorcycle brand Erik Buell Racing.